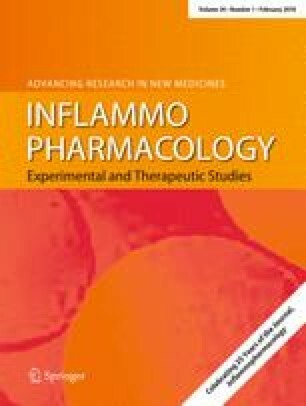 Despite the immense neuromodulatory potentials of Ginkgo biloba extract as a memory enhancer, its underlying mechanism seems inadequate particularly with regard to its anti-inflammatory properties. The objective of the present study is to investigate the protective potentials of Ginkgo biloba extract (GBE) against hippocampal neuronal injury induced by trimethyltin (TMT), a potent neurotoxicant. Male SD rats were administered trimethyltin (8.5 mg kg−1 b.wt) single intraperitoneal (i.p.) injection, followed by Ginkgo biloba extract (100 mg kg−1 b.wt i.p) for 21 days. The co-administration of GBE with TMT showed marked improvement in cognitive functions. Concomitantly, there was a significant decrease in oxidative stress as evident by reduction in MDA and total ROS levels. In addition, there was a marked suppression of astrocyte activation (GFAP), transcription factor NFκB and proinflammatory cytokines (TNF-α, IL-1α, 1L-6), which were found to be elevated by TMT administration. Histopathological observations showed remarkable improvement in hippocampal neuronal injury in the conjunctive group. Therefore, it is suggested that Ginkgo biloba extract is an effective agent against trimethyltin-induced hippocampal neuronal loss owing to its antioxidative as well as anti-inflammatory properties. The financial assistance to Dr. Sukhwinder Kaur in the form of junior research fellowship from the University Grant Commission is highly acknowledged.